Gilman Law LLP is a leading Massachusetts accident and personal injury law firm located in Boston, MA (Suffolk County), Wareham, MA (Plymouth County), Swampscott, MA (Essex County) and covering all areas of Massachusetts. 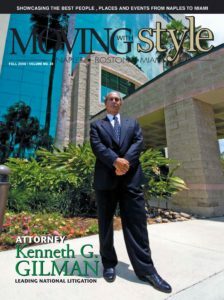 Our experienced Massachusetts personal injury law firm and Massachusetts accident lawyers have substantial trial experience and have spent more than 40 years protecting the rights of clients with serious injuries as a result of car accidents, truck accidents, motorcycle accidents, medical errors, medical malpractice, work-related injuries, maritime accidents, and other negligent accidents and claims. If you were seriously injured or seriously hurt because of another’s negligence, our team of highly experienced Massachusetts accident lawyers and personal injury attorneys will make sure you receive all of the compensation you are entitled to under Massachusetts law. Our skilled team of accident injury lawyers will thoroughly investigate your Massachusetts car accident, Massachusetts truck accident, Massachusetts motorcycle accident, Massachusetts medical error, Massachusetts work-related incident, or other Massachusetts accident, and identify the responsible parties to ensure that their insurance companies treat you fairly. Our experienced trial lawyers have helped victims with serious injuries obtain large lawsuit settlements for decades, and will make sure you receive the maximum lawsuit settlement possible for your lost wages, medical expenses, and pain and suffering. Our experienced Massachusetts accident lawyers and trial lawyers understand how devastating life-altering injuries from car accidents, truck accidents, motorcycle accidents, and other negligent accidents are for victims and their families. Often times these accidents leave victims seriously injured and out of work, with no place to turn and no one to help them get fair compensation for their injuries. Our firm strives to help these victims and we promise to treat your accident claim, personal injury claim or personal injury lawsuit with the individual attention and care you and your family members need and deserve. Our experienced Massachusetts accident and personal injury attorneys will use their decades of legal experience to ensure that you recover all the damages you are entitled to. If you or a loved one has been the victim of a car accident, truck accident, motorcycle accident, work-related injury, maritime accident, or other negligent injury, it is imperative that you contact one of the experienced Massachusetts accident and personal lawyers at Gilman Law as soon as possible so that evidence can be preserved and witnesses can be interviewed before their memories fade. Also keep in mind that Massachusetts has very specific time limits and statutes of limitations for filing lawsuits over car accidents, truck accidents, motorcycle accidents, and other types of personal injury lawsuits. Contacting the experienced Massachusetts accident lawyers at Gilman Law today will make sure your rights are protected. The experienced Massachusetts accident lawyers and personal injury attorneys of Gilman Law represent clients throughout the state of Massachusetts. If you or a loved one has been injured due to someone else’s negligence, the experienced Massachusetts accident and personal injury attorneys of Gilman Law are here to help. 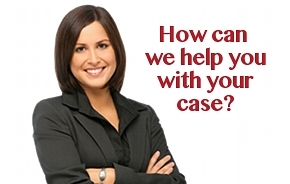 For a free and confidential evaluation of your Massachusetts accident lawsuit or Massachusetts personal injury lawsuit, please call our office toll free at (888) 252-0048 or complete the online consultation form.